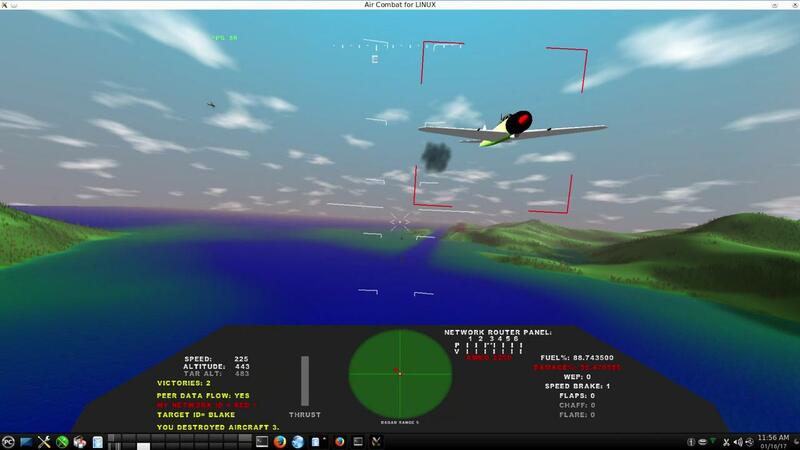 LINUX AIR COMBAT is a free, open-source combat flight simulator for the LINUX community. Its roots came from the well-known "classic" flight game known as "GL-117", but this new incarnation has been extensively re-written and improved. 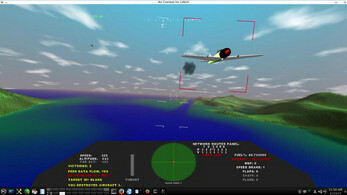 LINUX AIR COMBAT is also known as "LAC"
Joystick and Keypad Controls. (Or just fly with your keyboard and mouse). If you don't have a joystick, use the "[" and "]" keys to control your throttle. 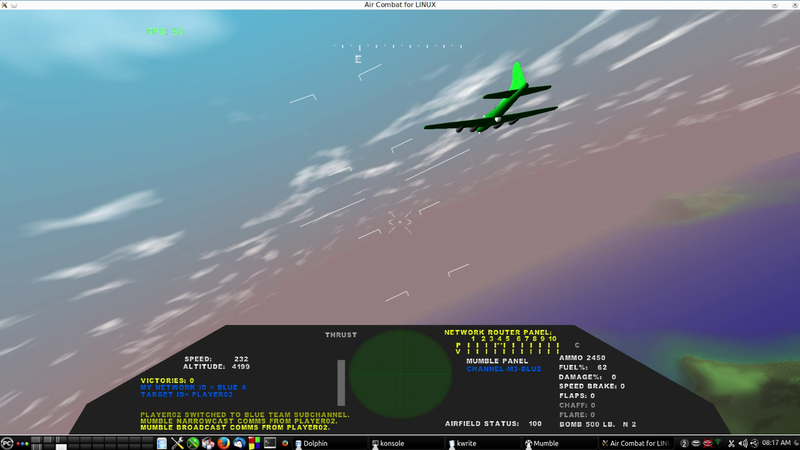 Use your PC keyboard to control most flight functions. If you don't have a joystick, use the "[" and "]" keys to control your throttle. 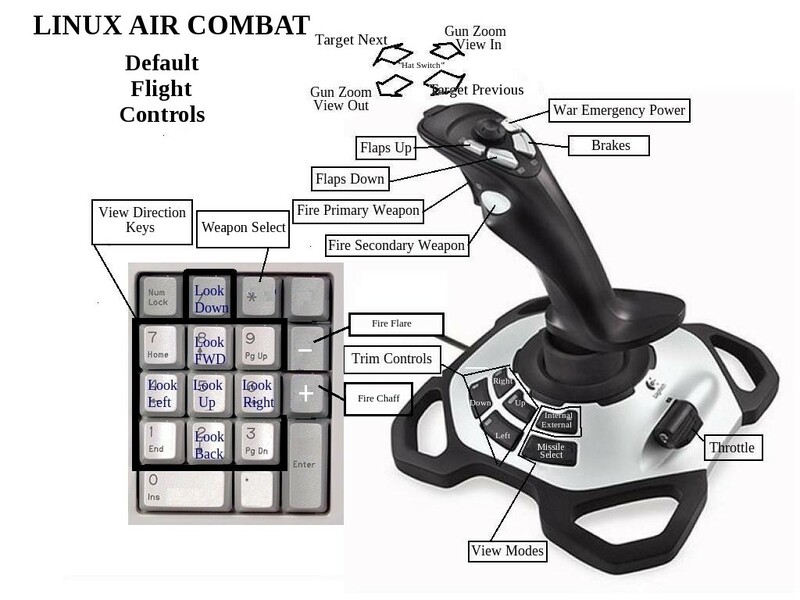 Modern, multi-axis analog/digital joysticks support precision control of elevators, ailerons, rudder, throttle, etc. 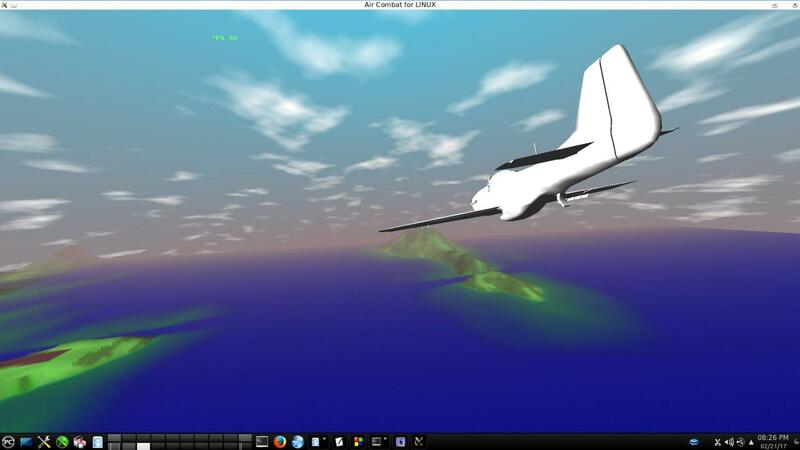 Users can record "GunCamera films" and ask the Server to replay them as persistent "Server Missions"
Welcome to Linux Air Combat!